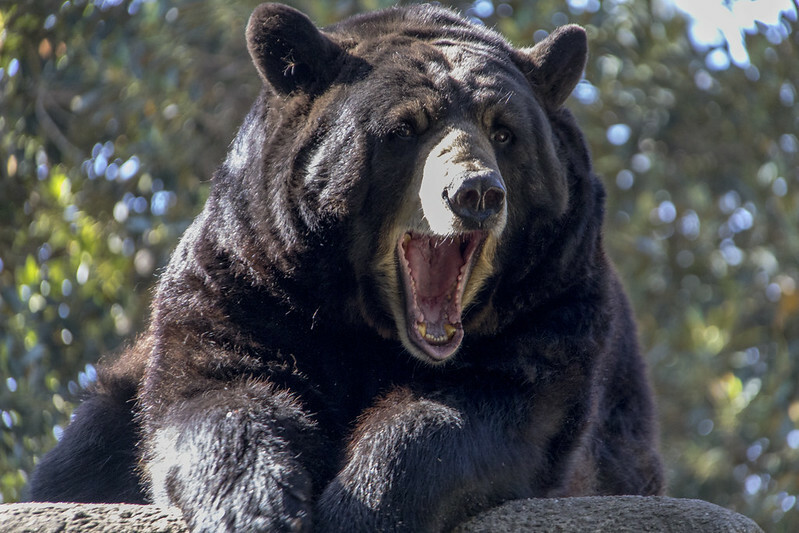 Downey doesn't have its own zoo, but the good thing for us is that the LA Zoo is relatively close. This Sunday morning they opened early for members only. It is the best time to go. Many of the animals were more active than usual. One of my favorites is the cats. 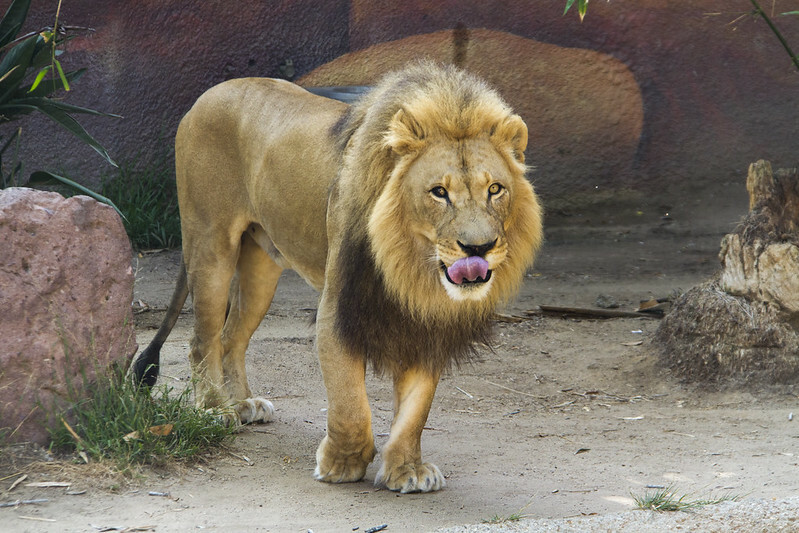 Hubert is a new lion for the LA Zoo. He and his mate Kalisa (who have been together for 10 years) came from a zoo in Seattle this past March. 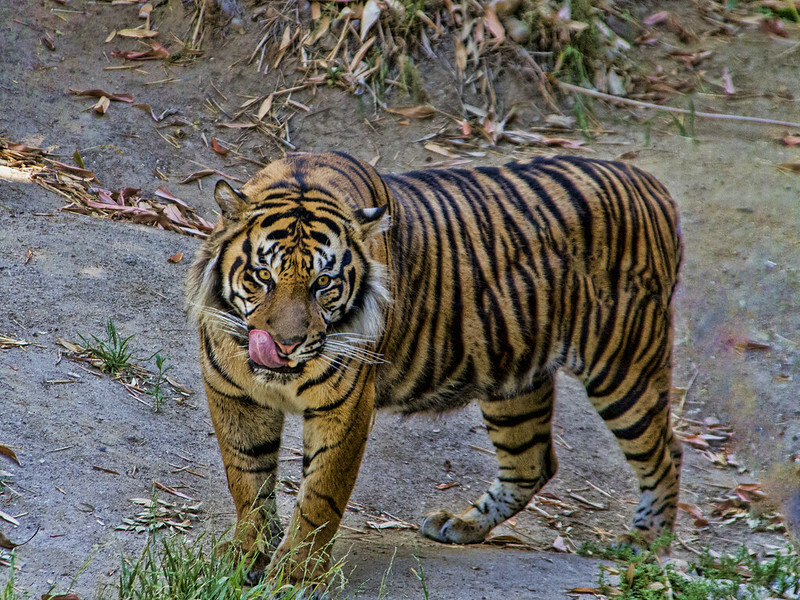 Hubert was quite active as was this Sumatran tiger, Castro Jr., who also recently came to the LA Zoo. They both seemed like they were ready for breakfast. It was fun to watch some interaction with the giraffes. 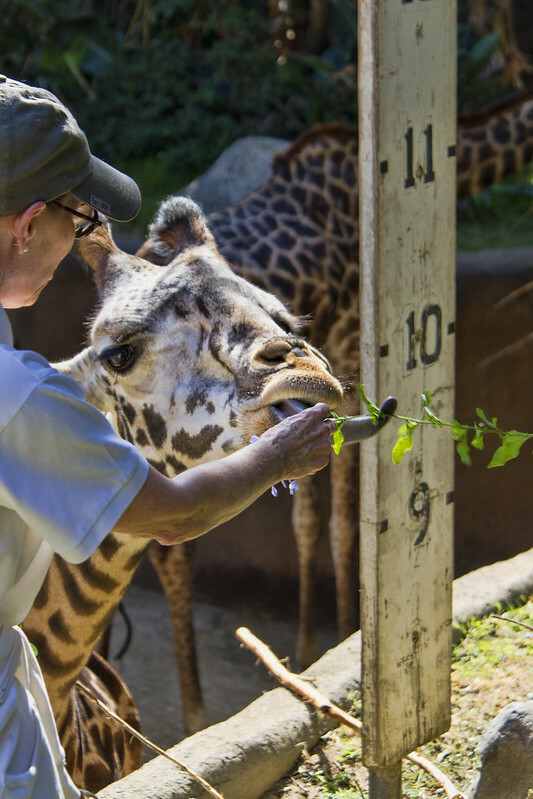 This zoo worker was feeding the giraffe branches with purple flowers on them. And then, there was the bear. He was so cute and cuddly-looking. We watched him for a long time. He looks a little ferocious here, but he wasn't growling, he was actually yawning.